Smartphone launch events seem to be growing bigger and bigger, having become spectacles that further interweave technology and culture. All over the world, tech enthusiasts have surely heard of the latest major flagship phones; now, such objects of desire tend to cost serious money, and just because they may be way off your price range doesn't mean that a budget phone can't satisfy you! Needless to say, budget phones aren't advertised the same way premium flagships are; as a result, you may feel a bit discouraged, not even knowing that there are exceptional models that fit your budget. Not to worry – we're here to set this misconception right by presenting nine outstanding Android phones under $300 and going over their key features. With so many specs to consider – and sometimes, not really knowing what they mean –, picking a phone is not an easy task. At the end of our article, you'll find a chart with the key properties that we suggest you keep in mind while choosing, but first, we'll give a quick overview. For starters, compare each phone's screen size and screen resolution; the former is really a matter of individual preference, as some people feel more comfortable with larger phones, while others want something easier to fit in their pockets. As for the latter, it shows the number of pixels that your phone's display is able to show both vertically and horizontally – so the higher screen resolution, the sharper the displayed images will be. 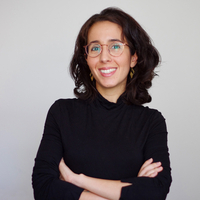 Speaking of images: these days, being able to take nice-looking photos with their smartphone is essential to the vast majority of users, and the values for main camera megapixels and front camera megapixels suggest the quality of the images you'll be able to create. It's critical to have in mind other decisive specs that determine the quality of the camera module: the lens, type of sensor and its size, as well as pixel size. For a more in-depth explanation of smartphone photography, make sure to check out our article with the 9 best smartphone cameras; while no budget models are featured, it might give you more insight regarding mobile photography. Moving on, RAM and total clock speed are crucial pointers of a smartphone's performance – once again, the bigger, the better. Make sure to also take a look at internal storage and battery power, which respectively indicate the internal space offered for apps, photos and other files you may want to keep on your phone, and the time needed between charging (I may sound repetitive, but you can guess: the more, the merrier). All the phones listed have screens larger than 5 inches and HD resolution. They offer between 2GB and 4GB of RAM, which means that most apps will run smoothly. If you're into gaming, you should select the phones that have the highest RAM and highest total clock speed values; if you're more interested in photography, make sure to check out the camera specs. 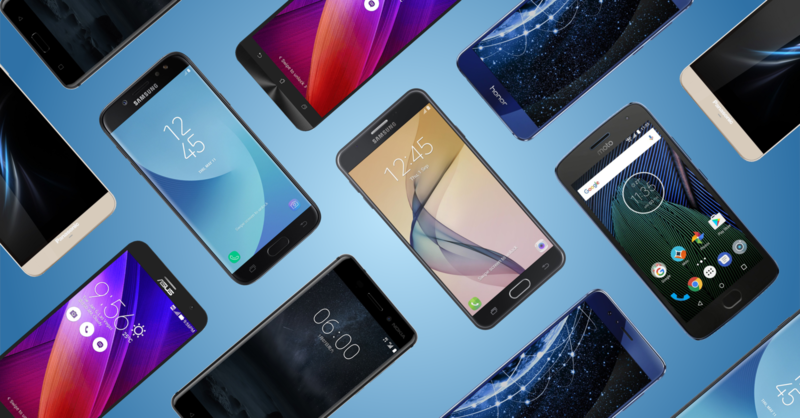 No matter what your interests are, you'll definitely find an affordable device in our selection of the top 9 budget phones. Asides from having a potent battery, the model displays vivid images on its 5.5-inch IPS screen. The smartphone's main camera has 16MP, and a three-axis electronic image stabilizer will make your handheld videos much smoother. Oh, and don't be afraid of this phone's native OS (Android 6.0.1 Marshmallow), since it is upgradable to Android 7.1.1 Nougat. The Asus Zenfone 3 Max is available in four colors: sand gold, titanium gray, glacier silver and rose pink. Nokia 6 is a powerful and sturdy budget phone. Manufactured with seamless precision-milled aluminum, this phone has a Gorilla Glass display for extra resistance. The smartphone may be a good choice for music lovers, as its dual-speaker system with dedicated amplifier and Dolby Atmos certification focuses on deep bass and clarity of sound. Nokia 6 comes with Android 7.1.1 Nougat, and in different versions: one with 64GB of internal storage and 4GB of RAM (shown here) and another with 32GB and 3GB of RAM. Powered by Qualcomm's Snapdragon 430 processor, the device has an X6 LTE modem with fast upload and download speeds and support for fast charging. Depending on the market, dual SIM options are available. I don't exactly get what Huawei meant by stating that the Huawei Honor 8 Lite was "inspired by the mesmerizing scenes of the Antelope Canyon", but this phone is worth getting over the brand's pompous statement. 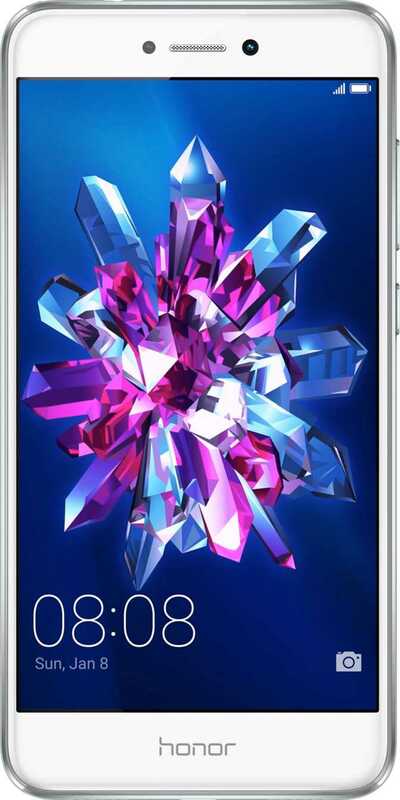 With a brushed steel finish, this smartphone is available in white, gold, black and blue, but what makes it a great budget phone is not on the outside: the Honor 8 Lite is powered by the octa-core Kirin 655 chipset, designed with the big.LITTLE architecture – that means four cores run at 2.1GHz, and the four other cores at 1.7GHz, making it possible for your phone to respond more efficiently to both more demanding and less demanding tasks. Moreover, while its 3000mAh battery may initially not stand out among our other budget phone picks, it was developed with a power-saving system that could, according to Huawei, result in 93 hours of use (including music playback). The Chinese manufacturer landed a second phone on our list: the Huawei P Smart, also sold under the name Huawei Enjoy 7S in selected markets. Launched in late December, the smartphone features an aluminum body and a 5.65-inch IPS LCD screen. The display is longer than what we're accustomed to, following the mobile market's 18:9 aspect ratio trend – which may not be everyone's preference, but is optimal for VR use. The Huawei P Smart/Enjoy 7S is powered by the HiSilicon Kirin 659 chipset, backed by big.LITTLE technology: four 2.36 GHz cores and four 1.7GHz cores. The phone runs on Android 8.0, is supported by a 3,000mAh battery and is produced in two versions, whose availability depends on your region: 4GB of RAM and 64GB of internal storage, or 32GB of storage and 3GB of RAM. Asides from offering high-end performance on a budget, the smartphone packs a camera system that won't disappoint you: it comprises a dual-lens main camera (13MP + 2MP) and an 8MP selfie camera. The most affordable of Sony's Xperia smartphones to date (as well as the most affordable on our list), Sony Xperia L1 offers looks and performance one wouldn't usually expect for such a low price. Available in black, white, and an elegant shade of pink, the L1 features a 5.5-inch display, a quad-core 1.45GHz processor by MediaTek and 2GB of RAM. While the technical specs don't make this phone the best choice for demanding activities such as virtual reality experiences, it is definitely fitting for smooth web browsing and day-to-day use. The smartphone's 16GB internal capacity can be expanded via microSD card up to an additional 256GB; additionally, the Sony Xperia L1 also brings NFC, Bluetooth 4.2 and USB Type-C connectivity, as well as a 13MP main camera and a 5MP front camera. All in all, this phone is quite a bargain, and if your budget is quite tight, look no further. Even though it was released a couple of years ago, the Asus Zenfone Zoom remains a budget smartphone that you shouldn't turn your nose up at. With 3x optical zoom, optical image stabilization (which the manufacturer even calls "DSLR-like") and a 10-element main lens, this phone is definitely a strong option for budget-friendly mobile photography. 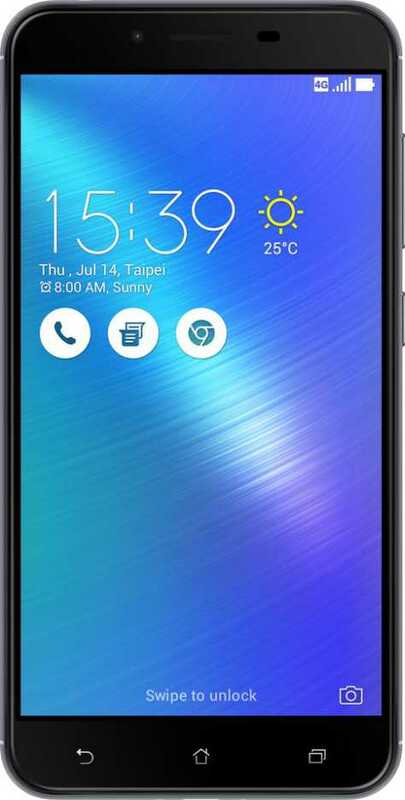 Furthermore, the Asus Zenfone Zoom is protected by Gorilla Glass 4, and its back is made of premium leather, giving it a unique feel which may please users – unless you're, let's say, vegan… Then you've most likely already crossed this one off your list, but you'll still have plenty of budget phones to choose from. 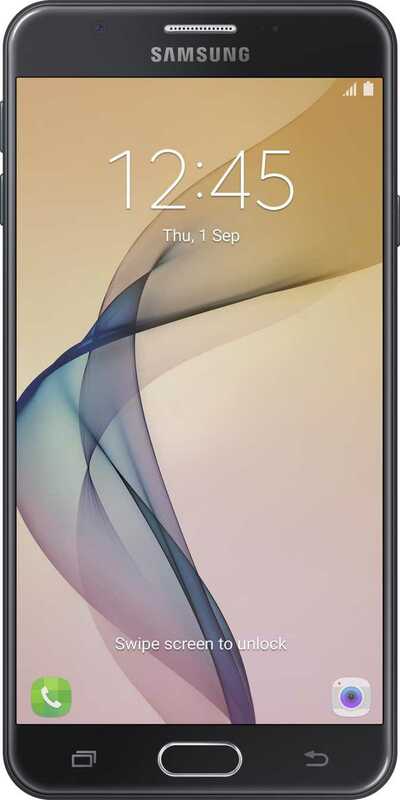 Samsung Galaxy J7 Prime is a powerful budget phone with good overall performance and some interesting features. Available in 32GB and 16GB versions (dual SIM in selected markets), this phone has a long-lasting 3300mAh battery, is upgradable to Android 7.0 Nougat, and runs on an octa-core 1.6GHz processor. The Samsung Galaxy J7 Prime may be especially interesting for the selfie addicts out there, as the smartphone's 8MP front camera has a wide selfie function, which lets you fit more into the shot (so you can say "no" to selfie sticks!). With its full metal finish and available in gold and black, the Samsung Galaxy J5 Pro could be the way to go if you're looking for a budget phone with elegant design. A downside may be the fact that it has the lowest resolution among our picks, but other features, such as the 1.6GHz octa-core Exynos 7870 chipset and the 13MP rear and front cameras, could make up for it. The phone also offers a version with 16GB of internal storage, but since it can be expanded up to 256GB with a microSD card, storage shouldn't be a problem, whichever version one has. If you, like me, are really clumsy and has lost a couple phones due to liquid spillage, you may leave your troubles (well, at least this one) behind with the Lenovo Moto G5 Plus. You can find this splash-resistant phone in two versions: 64GB of internal storage and 4GB of RAM, or 32GB of internal storage and 2GB of RAM. The Moto G5 Plus runs on Android 7.0 Nougat, with an octa-core 2GHz Qualcomm Snapdragon 625 processor for a smooth user experience. Another interesting feature is the TurboPower charging system, which promises up to six hours of battery life in 15 minutes.